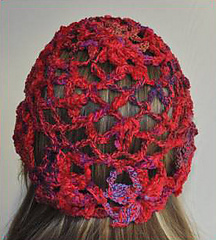 This crocheted hat is made with one strand of Aria and one strand of Panda Silk held together. It features wide eyelets and flower motifs. 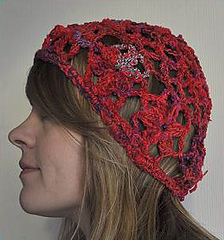 Note: The hat is crocheted with 2 strands held together. Work the circle of flowers first. Then work the crown (top down). Connect crown to circle. 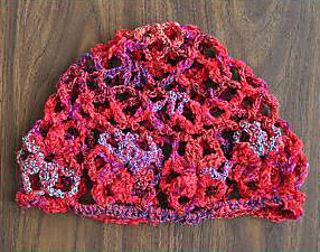 Finish with crochet border along the bottom.